Automotive technician jobs include mobile vehicle inspectors. Learn how to do car checks in North Dakota at all major motor vehicle associations. The state of North Dakota does not require a regular safety inspection for passenger vehicles. The only inspections required within the state are safety inspections for commercial motor, and safety inspections for farm vehicles that are over 26,000 pounds. Upon receiving a passing inspection sticker, these two types of vehicles can be legally operated on North Dakota roadways for one year. For mechanics seeking an automotive technician job an excellent way to build a resume of valuable skills is to seek out an inspector’s license. They must be knowledgeable in all procedures and regulations surrounding the inspection process, as laid out in the FMCSA guidelines. They must have either: completed a federal- or state-sponsored training program that qualifies them to inspect commercial motor vehicles, or they must have some combination of training and work experience that totals at least one year. Their experience must come from one of the following sources: previous experience as a commercial motor vehicle inspector in another state; experience as a mechanic or inspector in a commercial vehicle maintenance garage or fleet leasing company; experience as a mechanic or inspector in a motor carrier or equipment maintenance program; participating in a manufacturer-sponsored commercial vehicle training program. There is no specific state-sponsored education program for becoming an inspector. 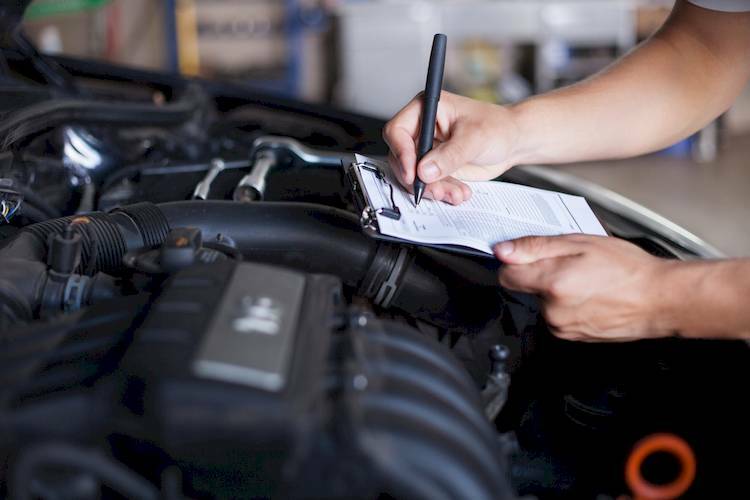 Inspection forms can be found at all major motor vehicle associations, garages, truck stops, and any other location where inspections would take place, or online.